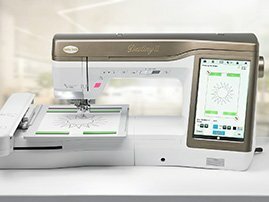 Requirements: Class is Free if you purchased your machine at Sew Suite. Call to register in that case. 843-900-5440. Bring your IQ designer Destiny - If you own the Valiant you may attend to get the class notes - you'll practice at home on your machine.